Provides detailed information on where to see the best solar and lunar eclipses for the next few years, maps to guide you to the best spot and tips for making the most of an eclipse. Includes free safety glasses for viewing the sun. A solar eclipse is an awe-inspiring spectacle if you are in the path of totality. Getting to the right spot at exactly the right time, and knowing how best to view the eclipse, though, can be difficult. This is the handbook that serious and amateur eclipse viewers alike have been waiting for. 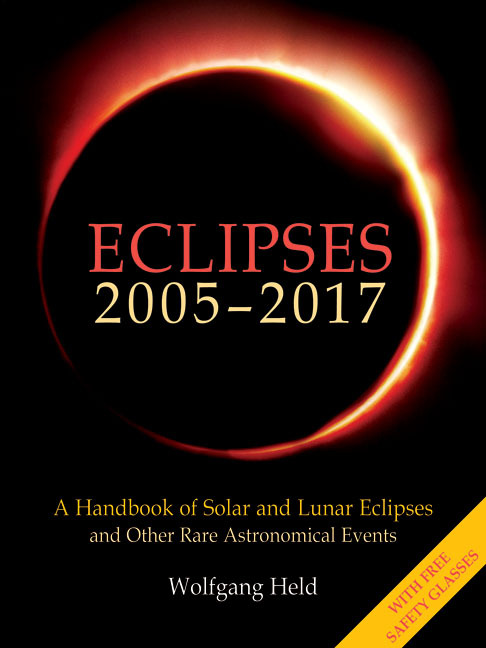 It provides, in intricate detail, information on where best to see the solar and lunar eclipses that are visible from the earth, for the next few years. Easy to follow, high-quality maps are included, especially useful if the best viewing point is quite remote. 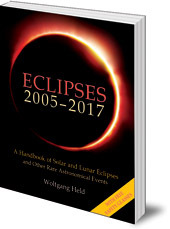 The author provides comprehensive background information on each eclipse, and hundreds of useful tips for how to make the most of the few minutes of this awe-inspiring phenomena. The book comes bundled with free safety glasses for viewing the sun. Wolfgang Held was Director of the Kepler Observatory in Dornach, Switzerland. He is the editor of the annual Sternkalendar (Star-calendar) ephemeris, and is the author of Germany's bestselling book on the 1999 eclipse.